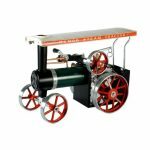 The Sunnytech Single Flywheel Hot Air Stirling Engine is a well-crafted, fully working model which demonstrates the operational principles of Stirling engines. What is a Stirling engine? A Stirling engine is an external combustion engine. That is, it is an engine that gets its energy from an external heat source, in contrast to the internal combustion engine where the heat input is generated within the engine itself. The Stirling engine was invented in 1816 by Robert Stirling, who wanted to create an alternative to existing steam engines, whose boilers could often explode because of the high steam pressures used and the strength limitations of the materials available to engineers at the time. How does a Stirling engine work? Like all heat engines, the Stirling turns heat energy into mechanical energy. 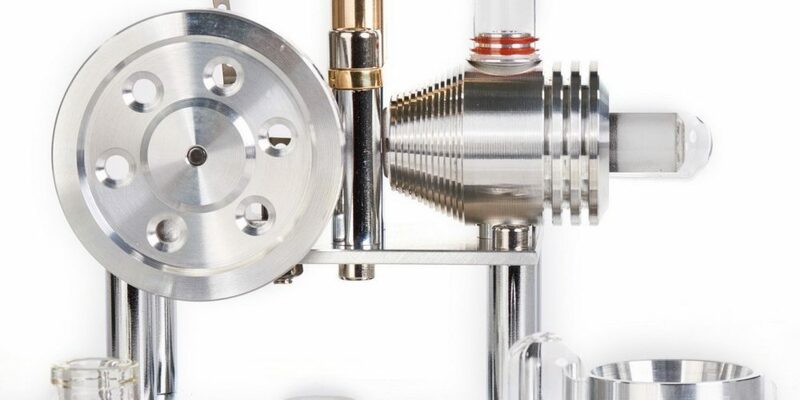 The key feature of the Stirling engine is that it uses a fixed amount of gas – usually air – enclosed in a sealed container, with the heat consumed by the engine applied externally. This means that the engine can run on just about any heat source, including coal or gas, solar energy, chemical reaction and nuclear energy. It can also work with very low temperature differentials, which means a Stirling engine could be powered by body heat or even the steam from a cup of coffee. And because it uses heat from a constant source and does not, like an internal combustion engine, rely on a succession of explosive ignitions, the engine runs very quietly. 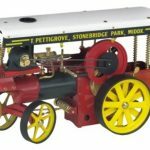 The heat source used in the Sunnytech Single Flywheel Hot Air Stirling Engine model is supplied by a small methylated spirit burner, which comes included, and the engine’s output is delivered – as the name suggests – by a single flywheel. The Single Flywheel Hot Air Stirling Engine is robustly constructed from steel, copper and aluminium, and comes fully assembled, which means that you can have it up and running within minutes of taking it out of the box. Just fill the burner with meths, light the wick, let the working fluid (air) heat up for 30 seconds, give the flywheel a spin, and off it goes. 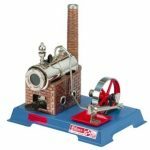 The Single Flywheel Hot Air Stirling Engine is an ideal collector’s item for engineering enthusiasts, as well as an engaging educational demonstration model. Most importantly, it is lots of fun. It should, however, only be used under adult supervision, and it is not suitable for children under 10 years old. Customer reviews of the Sunnytech Hot Air Stirling Engine are consistently excellent. People who have bought it are particularly impressed by its quality and performance. In today’s world, where everything is made from plastic, the look and feel of a solid, tactile piece of high-quality workmanship is immensely satisfying. It has an elegant design, is well engineered and constructed, and runs like a dream.